A group of citizens who measured noise levels in non-airport adjacent neighbourhoods say Trudeau International isn't doing enough to mitigate aircraft noise. A group of citizens who measured noise levels in non-airport adjacent neighbourhoods says Trudeau International isn't doing enough to mitigate aircraft noise. The group, Les pollués de Montréal-Trudeau, released the results collected by its 10 noise monitors today. Night flights coming to Montreal? According to their findings, the sound levels regularly exceed the 50 decibel annoyance level recognized by the World Health Organization, even in neighbourhoods outside the Dorval area. "It takes people to do the work, they just don't want to do it because they don't have to," said Alan Khazam, a member of the group. "No one is forcing them to do it." 583 night flights at the Ahuntsic West station (Sauvé and Verville streets). 794 night flights at the Saint-Laurent/Vieux station (du Collège and Lindsay streets). 653 night flights at the Saint-Sulpice station (Queylus and André-Grasset avenues). Each station is mounted outdoors and connected to a receiver inside the house. Data is sent hourly to the company that provided the sensors and posted online. The group admits the machines are not reliable in extreme cold, but say they are confident in the data gathered 10 months of the year. The Montreal airport authority said that it has met several times with the citizens' group. Aéroports de Montréal (ADM) said the group's readings are not accurate because the microphones they use are not professionally installed or calibrated. Christiane Beaulieu, an ADM spokeswoman, said the airport has done all it can do reduce noise and that, ultimately, flight paths are determined by wind direction. "I can have a lot of empathy, but for 50, 60 years the [flight path] has been like that," she said. Trudeau airport does not have a curfew when it comes to takeoffs and landings, but it does restrict the times certain wide-bodied aircraft, like the Boeing 737, can take off and land. All other aircraft, including regional jets, can land and take off 24 hours a day. Last year, the ADM granted 630 exemptions to larger and noisier jets allowing them to operate when they're normally banned from using the airport. Those exemptions were made largely for issues relating to bad weather or mechanical problems, according to the airport. The group monitoring the neighbourhood noise wants a strict night airport curfew that only allows planes to land between 11 p.m. and 7 a.m. in the case of organ transport or if there's an imminent risk of crash. 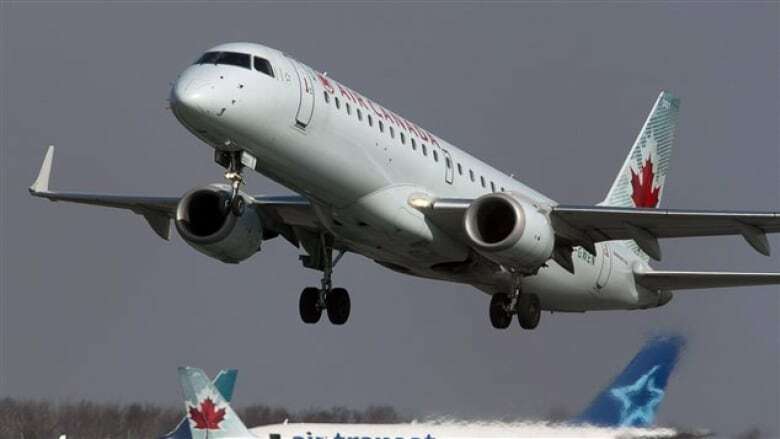 It also wants the airport to raise the altitude levels of planes passing over Montreal and review the takeoff and landing protocols to reduce the noise over residential areas. The group also wants a spot on the ADM's soundscape advisory committee, which looks at noise abatement measures and complaints that come into the airport about noise. According to an April report prepared for that committee, 685 noise complaints were filed in 2014, an increase of 18 per cent over the year before. Fifty one per cent of the complaints received were from 8 individuals. On Wednesday, the ADM released a summary or results its own noise measuring devices, including a mobile station that it recently deployed to the Centre Claude-Robillard in Ahuntsic, about 1.5 kilometres away from the Les pollués de Montréal-Trudeau's Saint-Sulpice monitoring station. According to an airport statement, the noise level at night did not exceed 45 decibels during the 44 days monitoring occurred. Noise levels were about half that inside residences. The airport says its own devices were calibrated by professionals and linked with flight data from NAV Canada to eliminate non-airplane sound sources.